City Tours Belfast specialise Educational coach hire for schools, colleges and universities. We have proved a popular, safe and an economical solution for many years. In these times of financial difficulty and regulatory burden, City Tours Belfast can manage both the coach hire and legislative compliance. We can organise private coach hire for small or large parties for both UK and Ireland. We know that active involvement in the learning experience is a key element in education. Teaching the revised Curriculum, you will undoubtedly be striving to promote discovery-type learning by organising school tours to educational attractions. We have a fleet of buses from open top double deckers, Ideal for Belfast Sightseeing, Historical tours of the Cities rich and troubled history from a panoramic view point, A true favourite with schools. 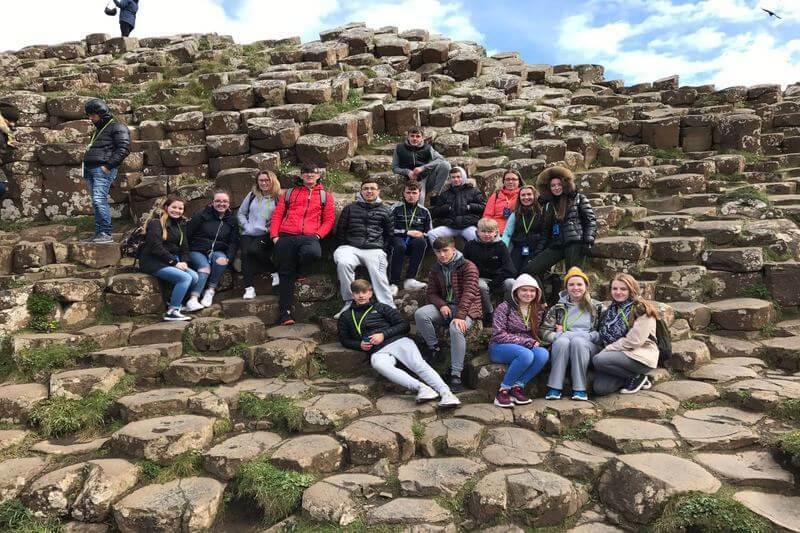 City Tours Belfast can transport you to Newgrange to learn about the archaeology and ancient past or perhaps travelling to the Exploris Centre to learn about our aquatic world on our modern coaches. We also offer our tour planning services to provide an affordable solution, which can include professional guides or discounted entry to ICL (Ideas for Connected Learning) locations. See below for tour ideas with tours we have catered for in the past. Custom tours? Let us know..
City Tours Belfast can offer a safe and quality shuttle service between schools, colleges and universities at an excellent rate. Whether it is transferring pupils from school to playing fields or transferring students from various towns to university, we can provide you with a reliable service. We can promise high quality vehicles and POCVA checked drivers all conforming to the highest health and safety standards, and service at outstanding rates. Each vehicle is equipped and maintained to the highest standards and can be modified to meet your exact requirements.